The Two-Tone Irrisistible is one of the highly successful Irrisistible series of fast water floaters whose body of deer hair makes them practically unsinkable. This Two-Tone variant is excellent when used as a loose likeness of an adult sedge on rough and tumble streams where the trout has little time to study such a tasty looking mouthful. Tail : Natural deer hair fibres. Body : Half dark brown deer and half white deer. 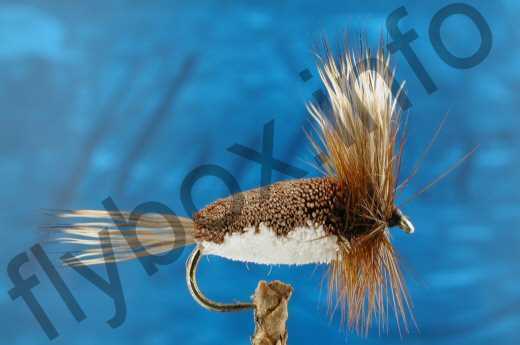 Currently there are no comments about the Two-Tone Irrisistible fly pattern from other fly fishermen yet.